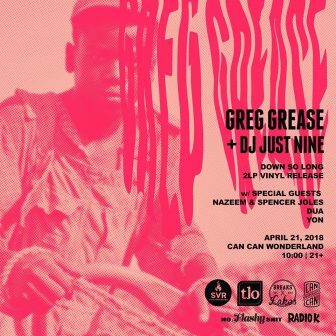 Come enjoy a phenomenal show from Greg Grease and DJ Just Nine, members of Astralblak fka ZULUZULUU, with a special guest + DJ. AND Greg Grease has a double vinyl release today just in time to celebrate Record Store Day! You won’t want to miss this!